Health Costs > How Much Does Antivenom Cost? How Much Does Antivenom Cost? 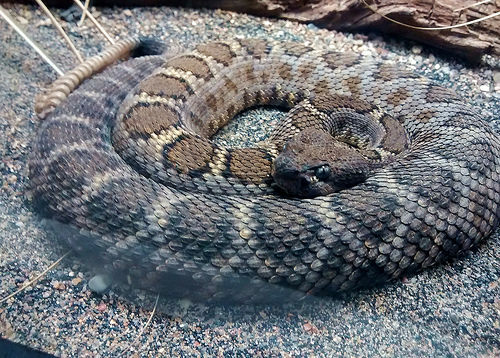 Antivenom is a type of medicine that can counteract the effects of the venom released into your body when bit by something poisonous such as a rattlesnake. Every year, more than 100,000 people die from being bit by a venomous snake and depending on the toxicity, a snakebite can cause a myriad of side effects, including muscle numbness, tingling sensations, nausea, excess saliva and/or trouble breathing. Aside from the fact that this poses a threat of dying within the day of being bitten, the treatment against venom is sometimes hard to find. In fact, not all hospitals in the country are even equipped with antivenom for all venomous snakes, scorpions, spiders and other poisonous animals. To avoid being killed, a victim must go to a hospital immediately, and as long as the hospital has the venom in stock, there’s almost a good chance you will survive. Antivenom is infamously expensive, and the price of each will vary largely on its type and what animal venom it is formulated to fight. Looking at various newspaper articles, the costs of one vial will be $7,000 to $45,000+ each, and this won’t include the hospitalization and other related medical fees. The Smithsonian Magazine, for instance, talked about why a single vial could cost up to $14,000. On the New York Daily News, they had talked about a woman who was stung by a scorpion, and they revealed the price of the specific antivenom she had administered, called Anascorp, approved by the Food and Drug Administration, would cost $3,780 per dose. However, not all hospitals will follow the suggested retail price. Most hospitals sell the said antivenom at $7,900 to $12,467 per dose. The Arizona Republic has said in the past that Metro Phoenix hospitals in Arizona are billing as much as $12,467 per vial for antivenom. Time Magazine reported a couple in North Carolina were charged $89,000 for an 18-hour emergency room stay. After their Blue Cross Blue Shield insurance policy kicked in, they were still responsible for $5,400. ZME Science says the average vial can cost $1,500 to $2,200; however, the average snakebite can take 20 to 25 vials to be neutralized. Antivenom will always be administered at a hospital and will be next to impossible for you to purchase it over the counter legally. In fact, only licensed veterinarians can purchase and dispense antivenom. If you are bitten by a poisonous animal or insect, the hospital you are brought to will administer the appropriate antivenom if available. Unfortunately, not all hospitals are equipped with antivenom, but most try to store antivenom for animals native to the surrounding area. The process of creating antivenom, at least according to the Smithsonian Magazine, is complicated. In order to create it, some of the most common snake venoms will be injected in sheep, followed by having its antibodies harvested by doctors. Horses, goats, rabbits, donkeys, chickens and rodes may be used as well. Before injecting into the animal, however, scientists will pay close attention to the venom to carefully measure and mix it with the right amount of water. Once the animal’s immune system reacts, the antibodies in the bloodstream will usually peak eight to 12 weeks later and the blood will be harvested, typically three to six liters per session. When harvested, the blood will be purified and centrifuged to allow the antivenom to be separated. Regardless of the type of antivenom administered, the patient will more than likely need to be hospitalized for a few days. According to fpnotebook.com the typical 12 vial course with hospital markup pricing is often more than $100,000. The price, however, depends largely on the type of antivenom and the severity of damage it poses. This Wide Open Country article posted a picture of someone who had antivenom at a local hospital. Aside from the antivenom, he as also charged for the intensive care room, emergency car services, radiology, therapy and laboratory services, bringing the total to more than $153,000 for a rattlesnake bite. Each vial of antivenom will be priced accordingly; however, the costs are not only limited to a single vial. If a person has been bitten/stung, one vial is usually not enough to get rid of the toxins. According to Snakebiteinitiative.org, a patient may need five to 10 vials of antivenom as an initial dose, depending, again, on the animal that bit the patient. Therefore, if each antivenom vial is $12,467 each, and you need five vials, then the costs can easily surpass $60,000 for just the antivenom. Depending on your insurance company, they may cover the antivenom, but it will really vary on your circumstances. All insurance policies will vary, so it’s always best to talk with your insurance carrier to know exactly what’s covered. This article is not honest. Yes antivenom is costly but only around 12 people or less die in the US per year due to snake bite. Where on Earth did you get 100,000?